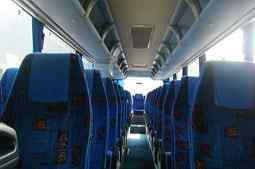 Richmond upon Thames Minibus Hire has for many years provided first-class coach and minibus hire in Richmond upon Thames. 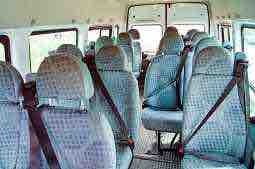 Minibuses are a great way for people who want to travel together to get around. We are a professional company and we pride ourselves on our customer service. Whatever your requirements we have the ideal solution for your travel needs at a quality and price that leaves our competitors standing. We have a great customer service team. We select staff who are good with people and we build on these skills by provide training in coach and minibus hire. We receive many letters and cards from customers complementing our staff and thanking them for a great day out. We recruit our drivers from the within the Borough of Richmond upon Thames. They bring great road knowledge to their job and have lots of experience of the M25 and routes into and around London and further afield. All our drivers are CRB checked and licensed for the vehicles they drive. Our minibuses seat from 6 to 16; our luxury Iveco Coaches are ideal for groups larger than 16. These are superb coaches with reclining seats, Wi-Fi, an on-board entertainment system and GPS navigation. Volvos, a Ford Transit and a Mercedes 16 seater are among our minibus range. All our vehicles are less than 6 years old, maintained in tip-top condition and serviced according to manufacturer’s instructions. Customer can choose to book on-line by completing our booking form and submitting it to us. On-line booking gives us an edge over our business rivals who do not offer this. Alternatively, you can call our booking line and speak to one of our agents. We are open 24/7. They will talk through your booking to makes sure it is the best option for you. Once we know where you are going and how many people are travelling we will give you a no obligation, all-inclusive quote within 30 minutes. Airport runs are a regular feature of our business; Heathrow is only 12 miles away and Gatwick 29. Forget about all the hassle and cost of parking a vehicle at the airport, we will get you there in no time and there will be plenty of room for luggage. On your return we will keep an eye on your flight and should your plane be delayed, we will make sure there is a minibus waiting to collect you when you arrive. We can get a minibus to you in less than half an hour. Suppose your business team has been asked to travel at short-notice or one of our competitors has let you down, don’t despair ring us and we will come to your rescue. 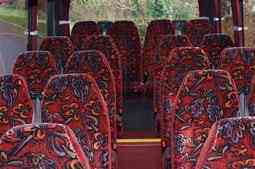 Larger parties or groups travelling some distance may want the comfort a coach can provide. Sit back and watch the world go by. Whether it is up to the Scottish Highlands, across the water to Ireland and the breath-taking Ring of Kerry, or through the Chunnel to mainland Europe, we will get you there. Richmond upon Thames is only 8 miles west-southwest of Charing Cross, so whether it’s theatre land to see a show like Phantom of the Opera or Billy Elliot, a night on the town with the boys or girls, or a daytime excursion around the sites, all that London has to offer is in easy reach. If it is sport that takes your fancy why not take your friends to Wembley, 8 miles, away in one of our minibuses to see that big match you have always promised yourself, or go to Wimbledon 2016 or test cricket at Lords. Perhaps a day out to Windsor and the Castle and Great Park would be ideal for you active-retired group. The London Borough of Richmond upon Thames includes the town of Richmond, along with the areas of Richmond Hill, Mortlake, East Sheen, Teddington and other areas in postcode areas SW, TW and KT. The town has a population of 21,000, although the population of the borough is close to 200,000. Richmond was named by Henry VII who built a palace there named after his ancestral home, Richmond Castle, in Yorkshire. George II built a hunting lodge in Richmond Park which encouraged house building and explains the many magnificent town houses that can still be seen. Today the area is a retail and commercial centre with many top-end retailers trading in this affluent area of Greater London. The area has several theatres, cinemas and thriving bars and restaurants. The area is served by both London Underground and London Overground rail services and also has a mainline station. For coach and minibus hire in Richmond upon Thames, you won’t beat us. Contact us today, you will be glad you did.